Their original songs are a brand new take on old-time country. In 2018, the Sapsuckers were nominated for Best Country Band by the WI. Area Music Assn. 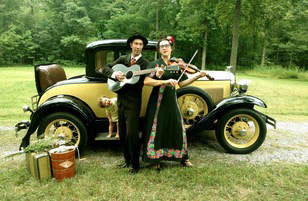 Their music recalls classic hillbilly music, while bringing a distinctly modern and lively touch to the American genre. They launched their 2018 album at an official SXSW ( South by Southwest film, media, music fest in Austin, TX.) and won a standing ovation!